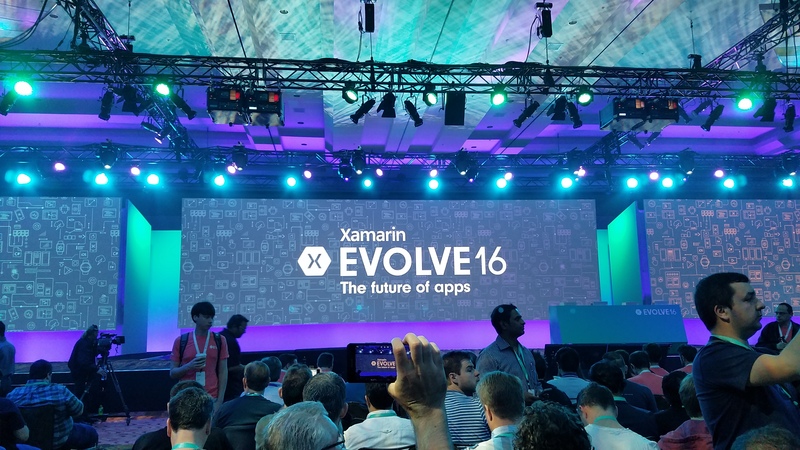 I had a great time at Xamarin Evolve 2016 conference. It was a great conference for two main reasons. One, it was a Xamarin conference, and two, I was part of the team that developed the application for vendors that attended the conference so that they can scan leads that stopped by their booths. The application was running on Zebra scanners running Android with a web portal and Azure back-end. I worked with the Xamarin team on the Android application that ran on the handheld devices. Such fun. Besides the app, there were lots of other cool stuff at the conference that I got to attend and participate in. I enjoyed all the sessions, but my favorite ones were Prism by Brian Lagunas, and Xamarin.Forms by Jason Smith. I tried and loved the Prism.Forms framework and it is currently my choice for any Xamarin.Forms project. I also got to meet some great people, like Miguel de Icaza (@migueldeicaza), Charles Petzold, Xamarin University instructor Kym Phillpotts (@kphillpotts) who helped me get certified the first time around, and of course, Steve – The Woz. The sessions, the book signing, meeting the Xamarin team, meeting Woz, enjoying Disney Land trip, everything. I wish they had the conference this year as well, but I guess Build would have to do from now on. It was a great opportunity and a great experience.